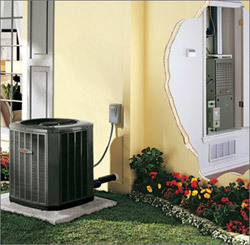 Is the Heat Pump Split System Right for You? 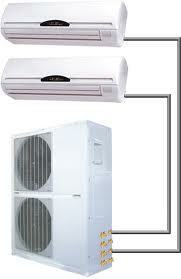 A heat pump split system is a small ductless heating system which is often unnoticeable. A series of holes is drilled into various areas in the wall to accommodate the piping that connects the indoor air-handling unit and outdoor compressor/condenser. 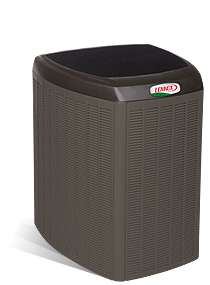 The indoor unit contains a coil and a fan, and the outdoor unit houses a coil that acts as a compressor and heat exchanger. 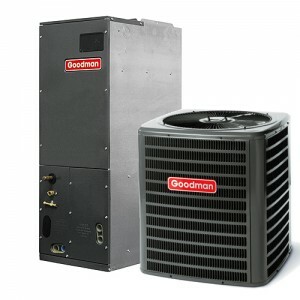 The two units are connected by a conduit housing the power cable, suction tubing, refrigerant tubing and a condensate drain, and utilize Freon gas as a coolant. 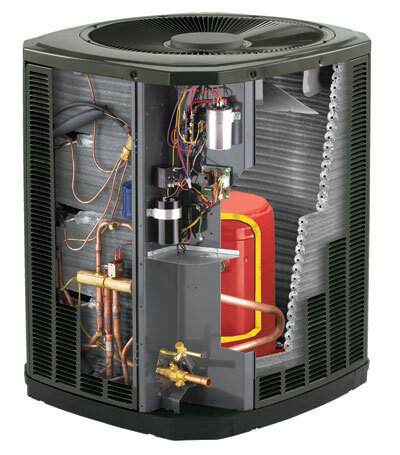 A heat pump split system is a heat, ventilation and air-conditioning system (HVAC), and they are the perfect system to install as a retrofit add-on in houses that have non-ducted heat systems such as hydronic systems, space heaters or radiant panels. These systems are very similar to air source heat pump systems due to their components, and they are very popular due to the fact that they can be installed into virtually any home, no matter what system is currently in use, without having to remove or alter that system. Split systems are also an excellent choice for a room addition where extending or installing ductwork is not feasible. 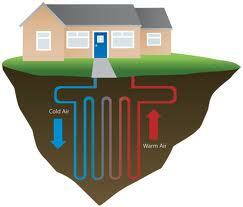 The heat pump split system works perfectly alongside any other type of system. Ductless, mini split-systems are also popular for commercial and institutional buildings, due to the fact that they are so flexible, which means that the reception area can be heated but the boardroom can be kept cool at the same time or the unit can even be switched off completely until it is in use. These systems are also the perfect choice for small apartments that cannot house traditional units due to their size and location, or where installing or extending distribution ductwork is not feasible. When used as a heater during the freezing cold winter months, the Freon gas absorbs the heat from the air that moves over the coil in the outside unit. The Freon gas heats up to a temperature of in excess of 140 degrees Fahrenheit as it moves through the compressor in the outdoor unit. This heated gas then travels through the wall along the copper piping and passes into the indoor coil where the fan pulls the heated air in through a grille. From here the warm air moves through the coil housed in the indoor unit. 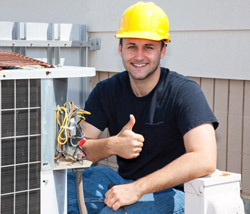 The Freon gas remains in the copper piping and its heat passes through the metal of the coil. The warm air from the fan passes over the indoor coil and carries the heat into the ventilation ducts to heat the home. The heat pump split system is very easy to install and to use, and is very popular as it uses far less energy than other systems. The systems can be effectively utilized to heat whichever part of the house you need it to heat, and the fact that each indoor unit has a thermostat and there are a number of thermostat settings means that you can control the heat in any part of your home. During the summer months the heat pump split system effectively reverses the heating process to act as an air-conditioner. The heat from within the home is moved across the coil in the indoor unit and the Freon gas absorbs the heat. 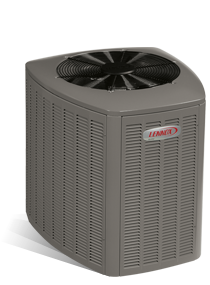 Moisture and heat are removed from the air inside the home and the Freon gas carries it to the compressor housed in the outdoor unit. The gas moves thought the outside compressor and through the coil, and the heat is eventually released into the outdoor air. Savings on Energy Costs – the fact that these units have no ducts means that the energy losses generally associated with ductwork of central forced air systems are avoided. Duct losses can account for in excess of 30% of energy consumption. Ability to Individualize Areas – their small size allows up to four individualized heating and cooling zones to be connected to one outdoor unit. The amount of indoor units required depends on how much heating or cooling is required and how well the building is insulated. This, and the fact that each zone has its own thermostat, allows the homeowner to regulate temperatures in the various zones according to need, or even switch off the unit in empty or unused rooms. Size and Visibility – the units are very inconspicuous and more attractive than standard units. These units generally come in very high-tech looking, sleek jackets and are only about seven inches deep. Flexibility – the heat pump split system offers far more flexibility as far as interior design goes. Indoor units can be hung on a wall, mounted flush into a drop ceiling, or suspended from a ceiling, or standing models can be installed. Many of the units come with remote controls, which makes it far easier to use them, especially if they are mounted high on a wall or suspended from a ceiling and difficult to reach. Easy Installation – split systems are easier to install than other units as the connection between indoor and outdoor units only needs a three-inch hole to be drilled through the wall for the conduit. Most manufacturers can provide a variety of lengths of connecting conduits, which means that you can locate the outdoor unit up to fifty feet away from the indoor unit. This enables the home-owner to heat or cool rooms in the front of the house whilst having the outside unit placed in a more advantageous or inconspicuous area at the back or the side of the building. Although the installation is easy, you should always have your unit professionally installed by a trained technician who will be able to offer excellent advice as to where to place the indoor and outdoor units. They can easily install the outside unit and up to three individual zones in one day. Security – many individuals prefer to install a heat pump split system unit because they feel safer making a small hole in the wall than installing window-mounted or through-the-wall systems which could make for easy entrance for intruders. Heat pumps are an extremely efficient way to heat your home when the outside temperature is above 25 degrees, but may not be able to supply sufficient heat if you live in an area where the temperature regularly goes below 25 degrees. This means that if you live in an area that has a more moderate climate, this type of system would be ideal for you, but if you live in a climate where there are times when the temperature drops to freezing you would do better with a larger system. The disadvantages of the mini-systems are minimal and are restricted to the cost of the system and the fact that if they are not correctly installed they could waste energy and actually increase energy costs instead of saving on them. 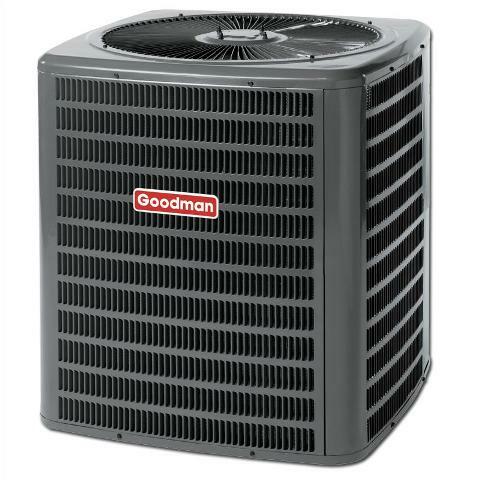 Cost – The heat pump split system costs approximately about $1,500-$2,000 per ton of cooling or heating capacity. This is approximately thirty percent more than the cost of traditional central systems, excluding the ductworks, and up to as much as twice the price of window units with a similar capacity. Correct Size Unit – It is of the utmost importance that the correct size indoor unit is chosen and installed, and that the best location is chosen for optimal effect. Incorrectly located or oversized air-handlers could result in short-cycling, which will result in wasted energy and incorrect temperature and humidity control. A system that is too large will also cost more and be more expensive to operate. Looks – Even though the indoor handlers are small and most of them have a very high-tech look, some individuals may prefer the look of a built-in central system. Qualified Installers – It is sometimes difficult to find qualified installers as most contractors invest heavily in training and tools for sheet metal duct systems, which means that they are not always keen on installing ductless systems. When sourcing a new heating system it is important that you take all eventualities into consideration, including the type of home you have, the size of your home, and the climate in the area in which you reside. It is also important that you take the number of rooms that you want to be heated and what type of system, if any, you already have installed in your home. Remember that if you already have a system and want to install another one you will have to include the costs of removing the current system, unless you install a heat pump split system. Do thorough research and look into all the different types of heating systems and what they cost, how much energy they use, installation costs, etc. Once you have looked at all the other types of systems, look into the costs, energy savings and other benefits of the heat pump split system and then find the best supplier in your area who can also fit the system for you.